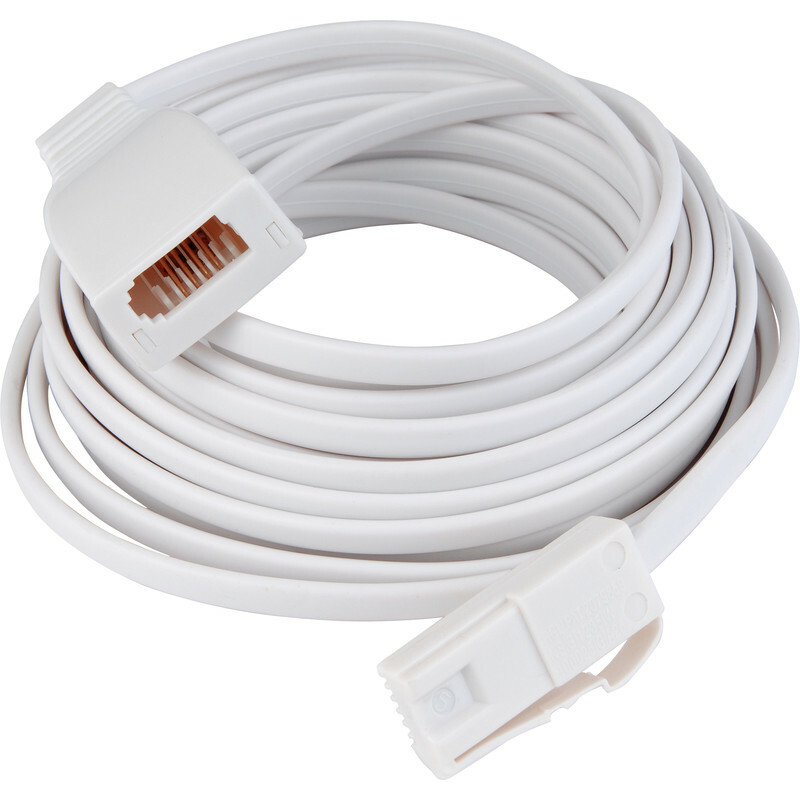 Telephone Extension Cable 5m is rated 4.8 out of 5 by 5. Rated 5 out of 5 by Mikeymoo from Perfect size! We needed a extension cord for our land-line and this was the perfect size for what and where we needed to get it to. Rated 4 out of 5 by Anonymous from Works well I brought this to test a line and it worked well. Rated 5 out of 5 by Barn man from Good quality for the money Directly compatible with BT socket and phone connection so an easy install which worked well.